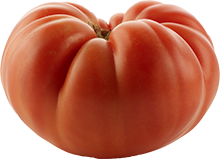 These wrinkly tomatoes may look ugly, but our delicious heirlooms taste like a hearty, beefsteak tomato is supposed to. We grow these tomatoes in the earth’s soil and sunshine because that’s how you get real, juicy tomato flavor. UglyRipes are harvested vine-ripened with that vibrant crimson color inside, just like old-fashioned tomatoes. 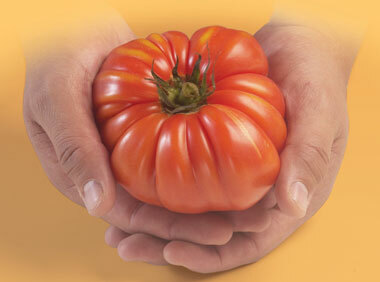 Slice an UglyRipe on a grilled hamburger or a BLT or a Caprese salad. Chop one in a fresh garden salad. Or eat UglyRipes whole, just like an apple — but make sure you have plenty of napkins handy. And don’t worry about finding UglyRipes out of season: our fully integrated farming, packing, and distribution system guarantees a year round supply. High in Vitamin A and Vitamin C. Good source of Potassium.